Factory of skulls. Download this free wallpaper and watch them multiply again and again. A real grisly wallpaper. Enjoy Halloween time with fear. Download this free wallpaper and watch deadly blue skulls raining down in the graveyard. . . The eyes of the skull light up with real bulbs. Ever seen that even in dreams. Download this free wallpaper to see how to make it happen. . . The software ShiftN offers an easy way to correct converging lines. All corrections are done automatically by evaluation of vertical edges without any user interaction needed. With Screenshot Pilot, you can capture screens in a variety of different ways (full screen, active client, screen region, cursor, menu under cursor, etc.) The program allows you to derive graphic images from applications and libraries. You can easily send screenshots by e-mail, print them out, save them to Clipboard or your hard drive. Screenshot Captor is designed for grabbing lots of screenshots with minimal intervention. It has great multimon suport and unique effects like background-blurring. It includes an image explorer and unsurpassed integration with external tools. 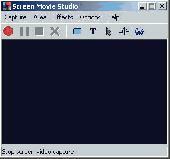 Screen Recorder Gold is a easy-to-use, fast, and powerful screen video recording software used for recording screen activity into standard AVI video files. In the haunted night of Halloween, only screechy bats fly out. Download this free wallpaper to enjoy the unreal fog on your screen. A screechy Halloween wallpaper with a black cat video with a Jack-O-Lantern. Download this free wallpaper and enjoy. Scott's JPEG commenter is a user-friendly application designed to help you edit comments in jpeg (or .jpg) files. The program provides a user-friendly explorer-like interface with a thumbnail preview viewer. Scott's JPEG commenter is a user-friendly application designed to help you edit comments in jpeg (or .jpg) files. The program provides a user-friendly explorer-like interface with a thumbnail preview viewer. Scott's JPEG commenter is free for noncommercial use, and supports Windows 95, 98, ME, NT, 2000, and XP. SceneDraw is an investigative tool, for police and private investigators that need to survey and diagram scenes for criminal and civil litigation. Scene Draw is not a CAD program nor is it a drawing program, it is a Data Driven Diagram software. The clock with bone-hands ticks on while the never-ending red fog keeps blowing from behind in this unique video wallpaper. Download and install this free wallpaper right away. Jpeg/gif/bmp/tga Image file viewer with slideshow, visual thumbnail index, one-click file categorization, catalog image generation, slideshow mode, encryption and privacy features, printing, and many more special features. Very easy to use.